A collapsed sea cave and one of the most spectacular locations in the islands. 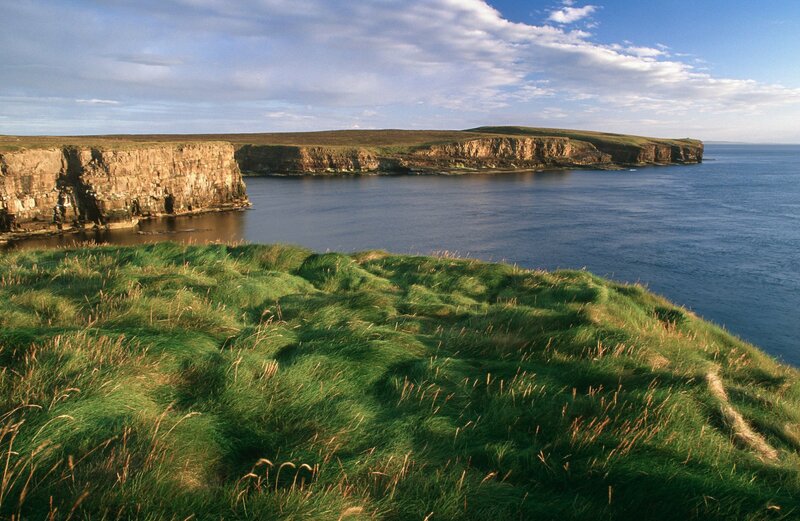 Orkney has a number of stretches of coastline that are fantastic to explore, but this part of the east mainland is very special indeed. Drive east from Kirkwall past the airport and continue on until the road, quite literally, stops. 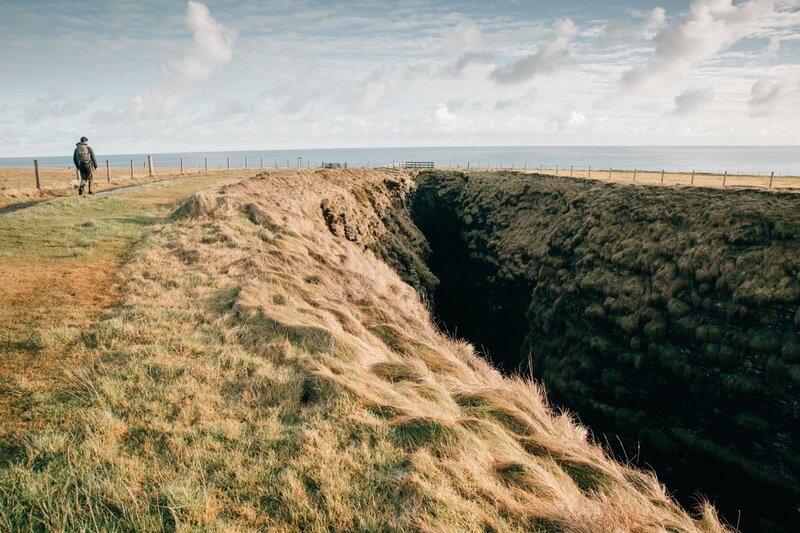 You'll find yourself at a small car park overlooking the nearby North Sea. 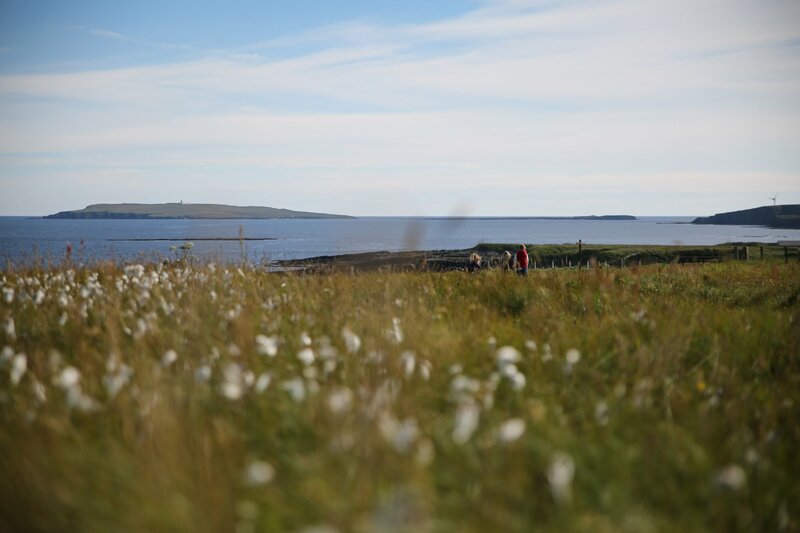 A quick walk along the track and you'll begin to hear the sound of the sea echoing nearby. This is the Gloup, adramatic collapsed sea-cave separated from the sea by a land bridge about 80 yards wide. It drops down around 80 feet, with the sea still crashing in through the blow hole. The name comes from the Old Norse "gluppa" - a chasm. Nearby you'll find an interpretation centre for the wider area and public toilets. It is possible to enter the Gloup in a small boat from the sea too - details of boat hire are available at the tourist offices. Remember that the Gloup is unfenced and great care is required. 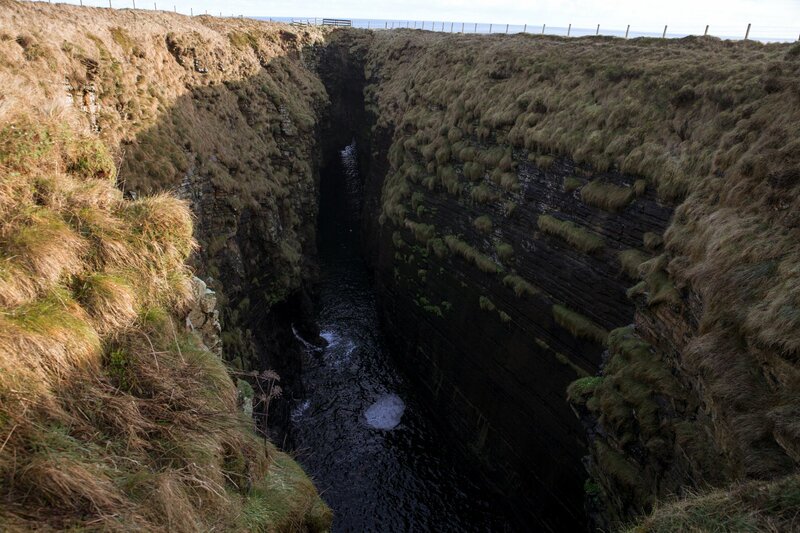 The Gloup is part of the Mull Head Nature Reserve, a beautiful part of Orkney's coastline. 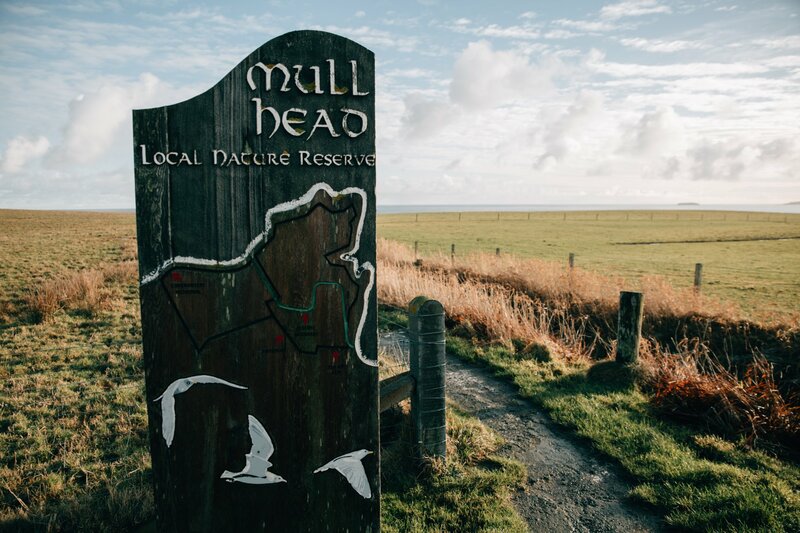 With over 200 acres of coastal grassland, heath and sea cliffs, it's a perfect place for walking, bird-watching and studying nature. 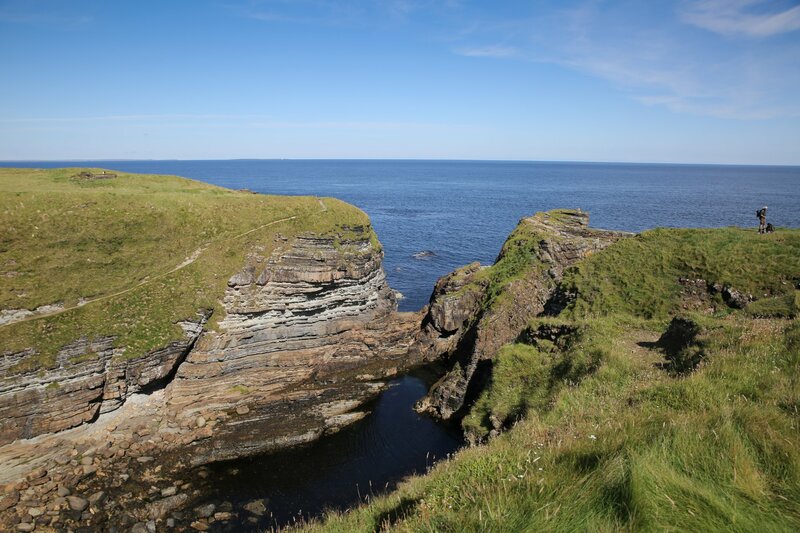 There's an extensive path network in the area, and make sure to visit the Brough of Deerness too - it's a small outcrop of rock housing the remains of a Norse settlement and church, accessed by a dramatic set of rock-cut steps. A truly spectacular place.